CITY officials hope Angelenos will take the opportunity presented by the upcoming primary and general elections in Los Angeles to shape the future of their communities. In an effort to drive more residents to the polls, representatives from the office of the City Clerk’s Election Division launched the “L.A. City Votes!” outreach and education campaign on Thursday, December 8. Projects staged by the division, along with 25 nonprofit groups and 18 media organizations, aim to reverse the trend of low voter turnout in local elections. The Election Division and its partners in the campaign will distribute informational materials available in English, Tagalog and 11 other languages designed to educate residents about voting procedures and their options on next year’s ballots. In addition, representatives of “L.A. City Votes!” will put on presentations and conduct outreach at college campuses, farmer’s markets, festivals and other community events in hopes of boosting electoral participation across the county. Asian Americans and Pacific Islanders (AAPIs) typically exhibit a low voter turnout rate, according to Josh Alegado, the programs coordinator for the Center for Asian Americans United for Self Empowerment (CAUSE). He hopes that the in-language information offered by the “LA City Votes!” campaign will help many members of those communities overcome perceived language barriers to the polls. AAPIs, and Filipinos in particular, have the potential to play a decisive role in the outcome of next year’s elections and the development of their neighborhoods, according to Alegado. Alegado went on to say that, so long as the electorate stays informed, making the choice to be heard matters more than who or what residents vote for. The information disseminated by the “LA City Votes Campaign” is not intended to sway voters’ decisions in one particular direction or another. “We’re here to educate, support and just be there for everyone so that they can exercise their right to vote in any language,” Chief of Elections Jinny Pak told the Asian Journal at City Hall on Thursday. All of the campaign’s educational materials are available on the Election Division’s website. In addition, the campaign will reach out to the electorate via Facebook, Instagram, Twitter and YouTube. Residents can also submit any questions they might have to the election division by phone, mail or email. Pak also recommended a series of speeches to be delivered by each of the candidates and aired on LA CityView Channel 35 to those who would like to learn even more about the people currently running for office. Transcripts of those speeches will also be made available for those who are unable to catch the broadcast. The offices of the Mayor, City Controller, and City Attorney, as well as a number of City Council and school board seats, are at stake next year. Proposals related to education, homelessness, and a diverse collection of other issues encountered by many Angelenos will also seek the public’s approval. Alegado encouraged families to sit down with each other to discuss the ballot and how their decisions might decide the direction their communities moving forward. He hopes the outreach conducted by the Election Division and its partners will help add substance and context to those conversations. “Now the city is doing a better job of giving us those resources, making us feel confident, and making us feel like we’re part of democracy,” he said on Thursday. The primary nominating election scheduled for Tuesday, March 7, 2017 will narrow down the field of competitors for public office. 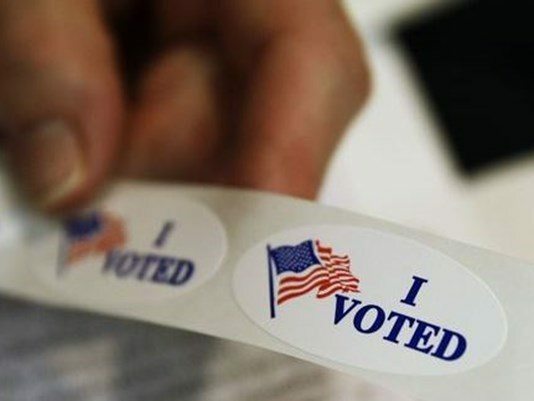 Voters will then cast their ballots for the remaining candidates in the general municipal election on Tuesday, May 16.